Welcome to our last issue of this year's newsletter. IAHPC will be coordinating the process for the implementation of the recommendations, and has convened a group of palliative care leaders and workers to collaborate with country leaders and governments. More information on the Lancet Commission Report is available here on the University of Miami’s website, as well as on The Lancet’s website here. Participants included palliative care leaders, representatives from academia and civil society organizations, and representatives of ministries of health, including those responsible for noncommunicable diseases (NCDs), healthy ageing, access to medications, and other relevant programs. During the workshops, participants identified priorities and developed action plans to advance PC in their own countries. Thanks to these workshops and with the guidance of Dr. Katherine Pettus, IAHPC advocacy officer, many countries through their mission representatives in Vienna, New York, and Geneva raised the topic of palliative care in the assemblies and special sessions. A new website. This year, the IAHPC website was redesigned to improve readability and access to its information. According to Google Analytics, from January through October the IAHPC website had been visited by more than 130,000 users who totaled 305,733 page views. A Google translate button allows users to translate the website into more than 100 languages. The website is brilliantly maintained by Mr. Danilo Fritzler, IAHPC webmaster. Pallipedia, the free online palliative care dictionary. During 2017, Dr. Roberto Wenk continued to update and add terms to Pallipedia, and will remain its senior editor, coordinating Pallipedia’s updates. We are deeply grateful to Dr. Wenk for his hard work and contribution to this project. Pallipedia now has 1,120 terms and more than 1,400 definitions. To access the dictionary click here. IAHPC Global Directory of Services and Global Directory of Educational Programs. During this year, Ms. Julia Libreros continued updating our global directories. The directories, housed in the IAHPC website, are a free service to the global palliative care community. The Directory of Educational Programs includes master degrees, fellowships, diplomas, and PhDs in palliative care. The Directory of Services and Organizations includes institutions and organizations that provide care, support, and guidance to patients and providers. It currently has 1,670 listings. Fundraising strategy. In 2017, the IAHPC Board of Directors approved a fundraising campaign to increase the number of donors and donations to the organization. 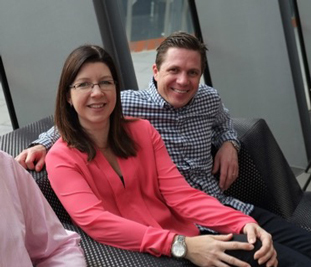 We were fortunate to work with Sue Collins and Mike Hill from Moonshine Agency in Australia. Sue and Mike are familiar faces to the global palliative care community – they filmed during the International Leadership Initiative led by Dr. Frank Ferris, and produced and filmed the successful palliative care series Life Before Death, Little Stars, and Life Asked Death. 17 stand-alone videos with grantees, board members, staff, donors, and collaborators for the newsletter, campaigns, and other media strategies. 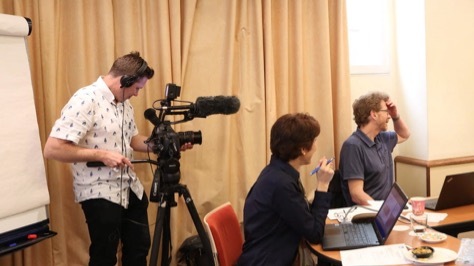 The videos were filmed in May during the World Congress of Palliative Care in Madrid with grantees to the congress, board and staff members, collaborators, and more. The videos are being released until April 2018; they can be found on our new IAHPC YouTube channel. This year also brought a few sad changes in IAHPC staff. After 15 years, Ms. Ana Restrepo retired at the end of May as IAHPC Membership Officer. Ana and her family moved to Florida and we are happy that she continues to help IAHPC as a volunteer. Ms. Genevieve Napier, Programs Officer, took on Ana’s responsibilities — many of you have already had contact with her through our membership or scholarships programs. Ms. Avril Jackson retired last month as senior editor of the IAHPC Newsletter. Avril held this role for three years, edited our bios, and provided guidance and advice on the organization’s press releases and reports. We hope that our paths meet again sometime in the near future with both of them. 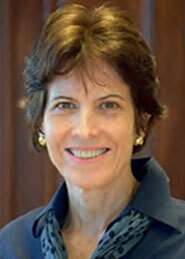 On a happy note, we are glad to welcome Ms. Alison Ramsey as the new senior editor of this IAHPC Newsletter. Alison worked for many years as managing editor of the Journal of Palliative Care, so she is not new to the field. We welcome Alison to the IAHPC team and look forward to working together in her exciting role. More about Alison on her note in this edition. We could not have been able to achieve all the above and much more without the generous support of our board of directors, our members, donors, foundations, and organizations. We are especially grateful to Atlantic Philanthropies, Open Society Foundations, Pettus Foundation, and the U.S. Cancer Pain Relief Committee for their support. All our donors and supporters believe in IAHPC’s mission and in our goal to have an impact on the promotion and development of palliative care. Our ability to continue to help others depends heavily on the support we receive from all, so please consider donating to IAHPC. You can donate through our website here. We face many challenges in the future, especially our long-term sustainability. We are aware that there are financial constraints and have prepared ourselves to meet these challenges. Our strong commitment to supporting the development of palliative care around the world will continue to be our driving force. We wish to thank all those who make our work worthwhile — patients and their families, health care workers, and the dedicated volunteers who give so much to palliative care. We are also extremely grateful to our small staff of workers, who continue to work tirelessly to ensure that IAHPC achieves its mission and delivers on its promises. And to the Board of Directors for their guidance and wisdom in helping us perform our jobs better. Best wishes to all of you, your friends and family members for the coming holidays and we hope that next year will bring happiness and success to all.